Rockpool Bar & Grill is glamorous, over the top and expensive. It's also worth every penny. Rockpool Bar & Grill is glamorous, over the top, and expensive. 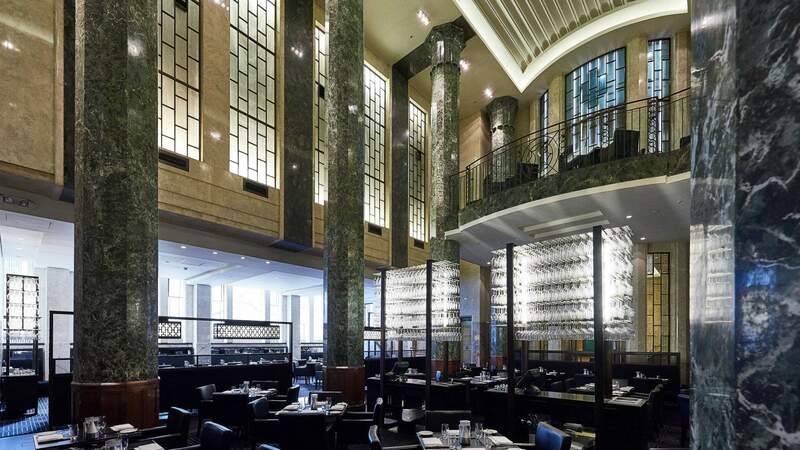 Nested in the grandiose surrounds of the City Mutual Building's art deco interior, dining at this place is an experience to say the least. A marbled open kitchen exposes spunky chefs sweating under heat lamps, atmosphere is aplenty, and the wine selection is more like a bible than list. But what you're really here for is some of Neil Perry's wham bam steak. Loosen your belt buckles, folks, because you ain't leaving without ingesting at least 250g of juicy beef. Word. But before the eating bonanza begins, I recommend you perch at the bar for a couple of beverages. The Godello from Galicia in north-west Spain ($16 glass) is a light option for those who favour notes of white burgundy finished with a mineral texture. Alternatively, the Madeiran Tarrantez ($24 glass) would suit one after a subtly aromatic and tangy drop. Move into the dining room and it's here where we let the games begin. Start with a half dozen Tartha Sydney Rock oysters ($5 each), the parma prosciutto with fresh figs, basil, parmesan, and balsamic ($24), or the charcoal roast squid and pork belly ($28). If one had to play the singling out game, I'd call the prosciutto. From the wood-fired grill, there's a neat selection to choose from. Here we're talking about beef of only the finest quality, of course. The Cape Grim dry aged 36-month-old grass fed fillet (250g for $55) is a lean cut, almost completely without fat and quite possibly what they had in mind when they coined the phrase, "melts in your mouth". Then there's the rib-eye on the bone ($350g for $60) for the bottomless pits amongst us. Don't be ashamed, be proud. Add to these a side of potato puree ($9) and oven roast pumpkin and sweet potato with garlic yoghurt ($9) and you've what we call an almost unchallengeable meal. Rockpool Bar & Grill deserves every last slither of hype it gets. Steak is its language and warm hospitality its philosophy, so go on, spoil yourself. It's worth every penny.